Our body has an amazing capacity for self-healing. But, when it comes to damaged brain tissue, we are not naturally capable of regenerating or healing ourselves. Now, researchers may have discovered a way to regenerate brain tissue. 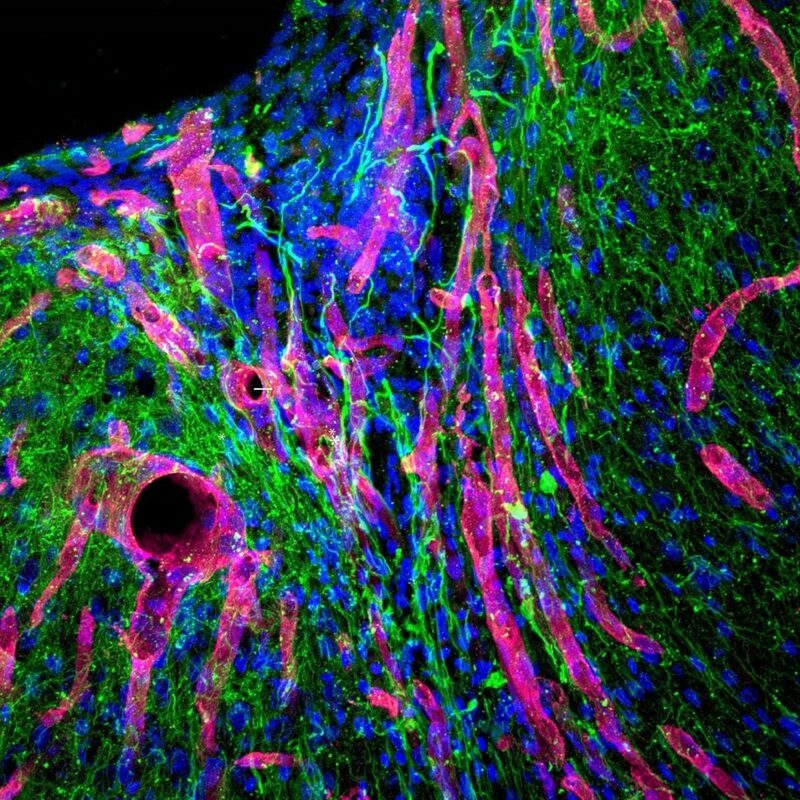 Neuroscientists showed that injecting a biomaterial into stroke-damaged areas in the brain helped mice regrow neurons and blood vessels. If proven to work in humans, this could be a major milestone in regenerative medicine history. Our ability to heal our bodies and regenerate tissue is something that many of us often take for granted. As miraculous as it is, sometimes it’s not just enough, especially for internal injuries. Though we can’t grow back whole limbs as Deadpool does effortlessly, we still have the ability to heal from even major injuries to our skin, bones, and internal organs. However, when compared to some other animals’ healing abilities, we pale in comparison. Axolotls, for example, can regrow almost any part of their body, including their brain. If some of the human liver tissue, for example, gets damaged after trauma or disease, it can regrow itself back to normal size. The human skin also has a relatively efficient self-repair ability. Unfortunately, this isn’t the case for the brain. Brain tissue can sustain damage due to many reasons, such as a head injury, degenerative diseases, like Alzheimer’s, or strokes. The brain has a very limited ability to recover from a stroke event. Stroke-induced brain damage can result in serious physical and cognitive disabilities. Currently, post-stroke treatments focus highly on rehabilitation aiming at teaching patients via exercises and therapies to regain some of their motor skills and overall independence. Results of rehabilitation, however, remain very limited and vary according to the stroke severity and each patient’s case. Reversing the brain tissue damage caused by stroke is one of the biggest challenges in regenerative medicine. Researchers have been exploring several promising paths, like stem cell therapy, to generate new healthy brain cells and thereby repair the brain damage. A group of neuroscientists and biomedical engineers from the University of California, Los Angeles (UCLA) and Duke University have taken another path in their attempts to find a way to regenerate brain cells damaged following a stroke event. The team used a new biomaterial in the form of an injectable gel, and the first results in mice suggest a revolutionary treatment for stroke patients. The brain can’t grow new cells, new neural connections, and new blood vessels after a stroke. Instead, the dead brain tissue gets absorbed, leaving cavities. It’s in these cavities in mice brains that researchers injected their hydrogel and waited for 16 weeks to see the magic happen. The body absorbed the gel and new brain tissue started filling the stroke cavities. This resulted in an improvement in the mice’s motor skills. There’s a caveat, however, as researchers admit they don’t understand the exact mechanism behind this improved mobility. More investigation is needed to ensure that the neural growth can be attributed to the gel’s action and whether this procedure would yield similar results in humans. The findings of the study were published in Nature Materials. Do you think this could be the breakthrough in stroke therapy that researchers have been looking for?